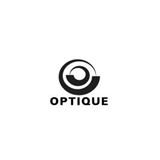 Optique (Dallas) - Book Appointment Online! Optique is Dallas' premiere full service optical boutique. A unique collection of eyewear from designers such as Cartier, Chrome Heart, Oliver Peoples, Coach, Giorgio Armani, Dolce & Gabbana, Tom Davies, Robert Marc, Oakley, Tag Hauer, and Prada to name a few. Besides having to wait a little before the appointment, I really enjoyed my experience. My husband was with me and he decided he is going to switch to Dr. Zellers because of his professionalism and bedside manner.